A Graduation Celebration: Hannah Elizabeth Diaso! Yesterday our daughter, Hannah Elizabeth Diaso graduated from high school. It was a wonderful time and a joyous celebration! Hannah’s grandparents, Chivis from Mexico City, as well as some dear friends enjoyed the ceremony with us. I thanked my dad for coming out from Fresno, California. He said, “I couldn’t miss my granddaughter’s graduation.” Thank the Lord for loving and faithful family and friends. The kids, young adults that Hannah graduated with are all very creative. They worked with some of the parents to plan out a touching, meaningful and fun program. One of my friends who has younger girls said it was like a whole year of Sunday School. His girls look up to the graduates and they saw their faith and love for Christ shine through in living color. Dawn and I gave a short charge to Hannah. Dawn received many positive comments about how articulate she was. She shared some very heart warming blessings with our daughter and all who came. Proverbs 31 states, “You are a young woman of noble character. Your worth is far more than rubies!” The character of the Proverbs 31 woman very much describes you: You are faithful, generous, creative, caring, gracious, virtuous, a woman of moral strength of character. You are diligent and disciplined. You are elegant and beautiful. You are respectful and respected. You are clothed with strength and dignity. You speak with wisdom and faithful instruction. I applaud you Hannah for having as your main goal to glorify God in your thoughts, attitudes and actions. Bringing glory to God through loving and serving others is more important to you than the achievements that bring you praise from man. 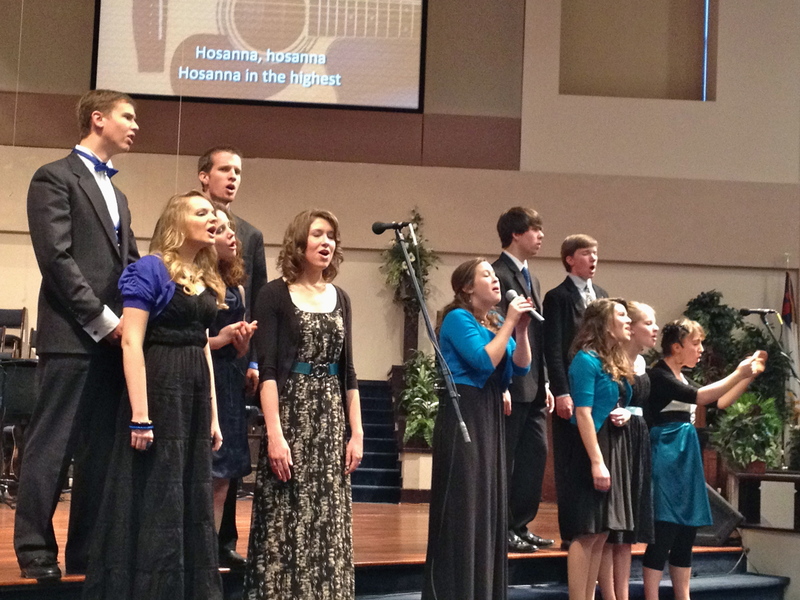 The Graduates leading us in Worship – Hosanna! I broke down a little as I shared. I was afraid that was going to happen. Jeff Siebert, a friend who has three girls warned me a couple of years ago, “wait till your daughter graduates.” I remember thinking he did a great job getting through his speech when he shared about his love for his daughter, Mackenzi. He got emotional during the speech, but he made it through. As a side note, I think MacKenzi just graduated from college at Patrick Henry College yesterday. Well, I must admit it was hard to get through my speech, and maintain my composure. My little daughter graduated. She’s grown up before my eyes. It’s hard to believe. She’s the last of our three children to graduate from high school. It’s the end of an era. The end of the homeschooling chapter in our lives. Wow! I can’t believe it. At times I didn’t think we’d make it through, but in God’s grace we did. Thank you, Jesus for the wonderful godly young woman Hannah has become. Thank you for the community of friends and family that stood with us, supported us, prayed for us and helped us along the way! Congratulation to Hannah and to you as her parents for raising a lovely, Christian daughter. Wow! What a day (Mother’s Day) to be able to share such a special occasion and truly you have something to be proud of. Not only has God blessed you with a wonderful daughter but He’s blessed her to grow into a young woman of fatih. Congratulations doesn’t seem adequate but you have it just the same! Happy Mother’s Day :). Thank you – our daughter is a huge encouragement to us. Since she did graduate we had the grandparents come in and were able to celebrate mother’s day with them, so that made it even better. Well done!.You can all be proud. Sounds wonderful, David! You two have done an excellent job with your kids–to God be the glory! Thanks – Hope you are doing well. We enjoy your updates! 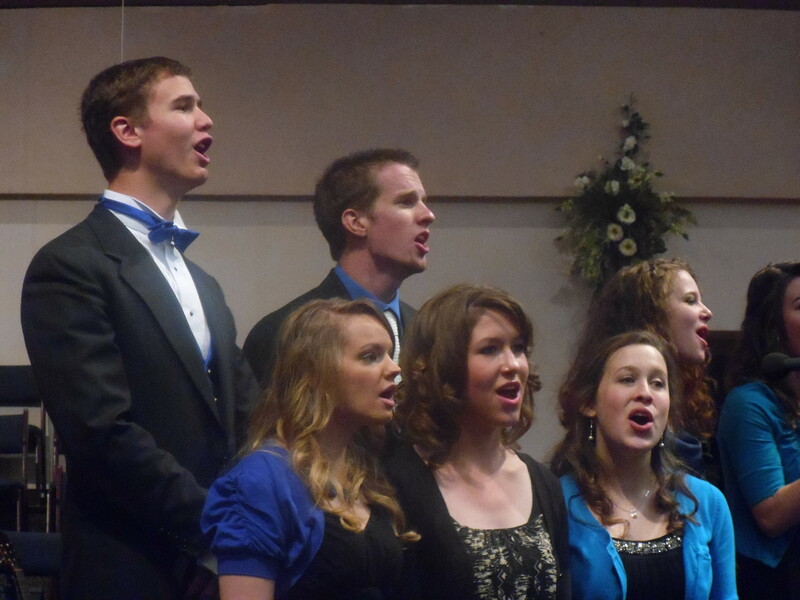 Thank you – The Lord blessed the graduation of all three of our children. I guess with this being our last to graduate from high school, and being our only daughter it made it a little more sentimental. Of course, my wife did a ton of the work, and it wouldn’t have happened without her. I hope you greatly enjoy the graduation of your daughter – I’m sure it will be special! Is There Hope for Juarez, Mexico?